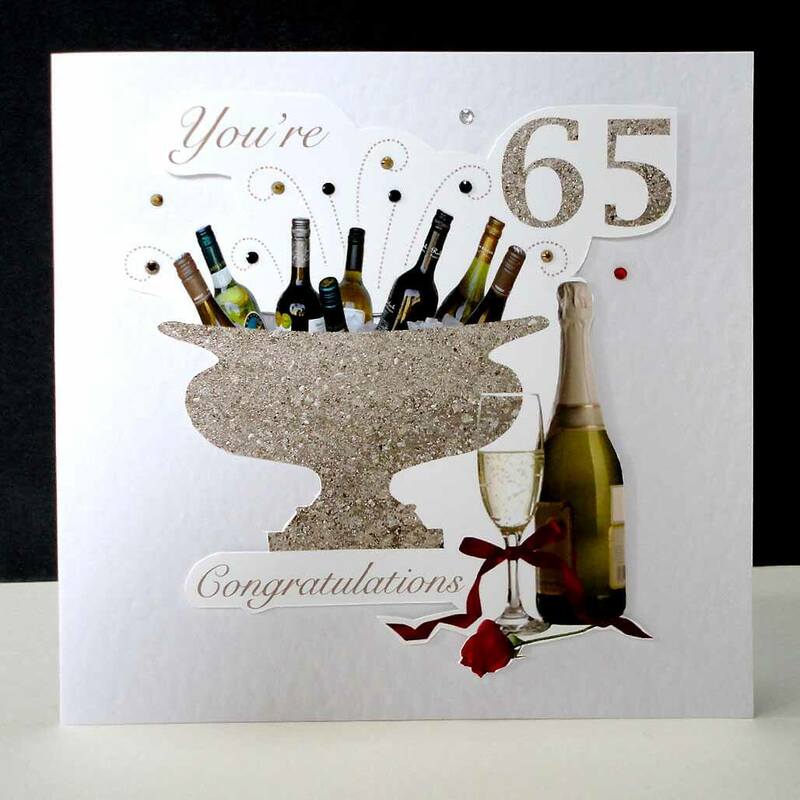 This unique Celebration Bottles Card is now available for a 65th Birthday, which has become a popular time to retire, and what better way to celebrate a really special Birthday than with a few bottles of wine, champagne and a feminine touch with a single red rose! 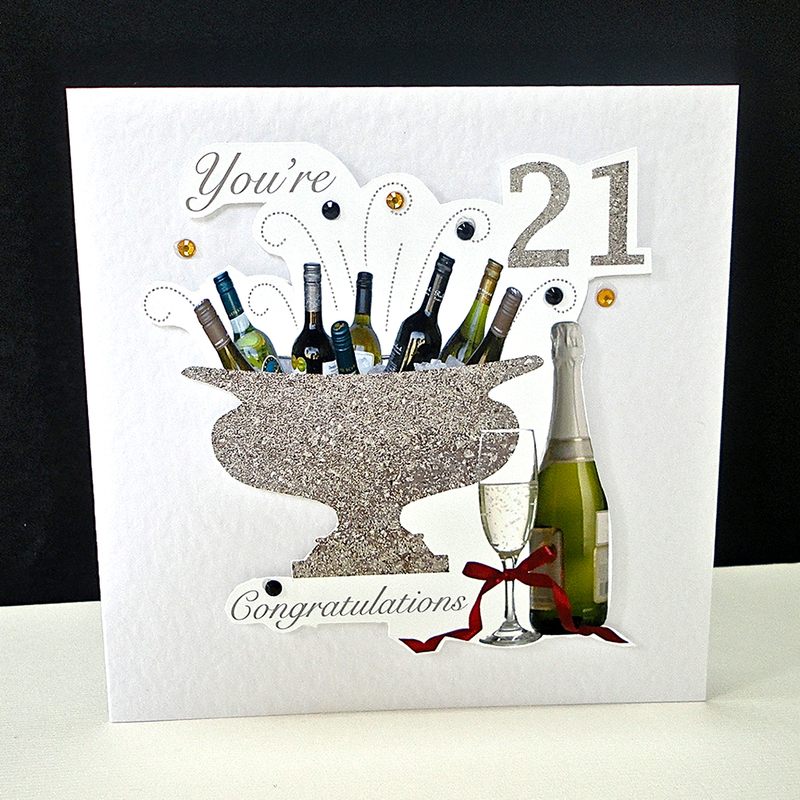 The hand-crafted card has a classical stone urn as a cooler for bottles of wine, with red rose and a glass and bottle of champagne in the foreground. 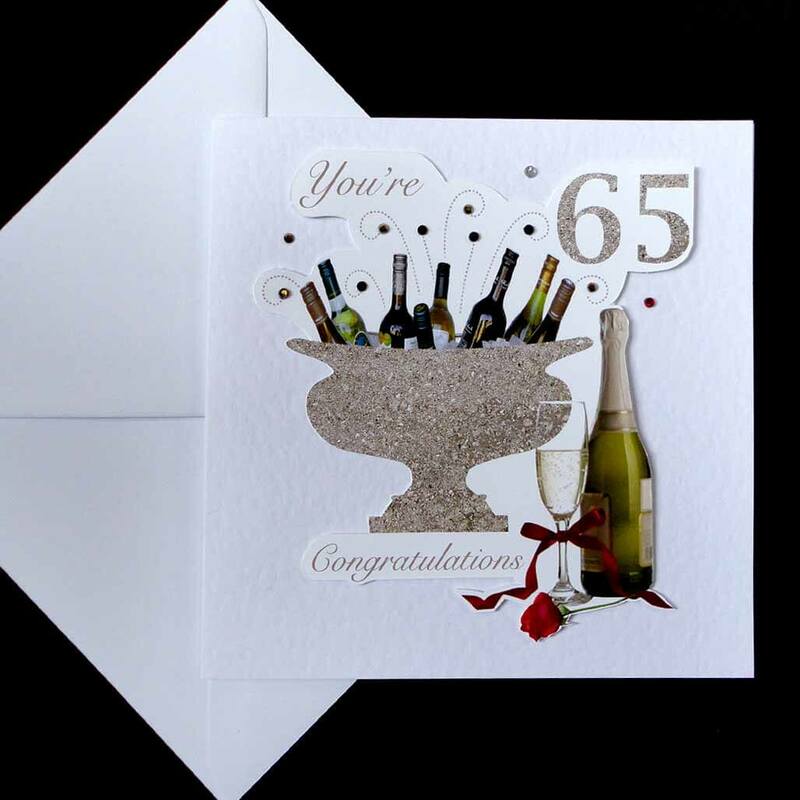 This card reads “You’re 65, Congratulations!” The design is hand-cut and mounted on a white card. Small glass gems embellish the scene. Inside is a smaller champagne bottle and glass and rose, saying Congratulations, highlighted with a red gem, leaving plenty of space for your own message. 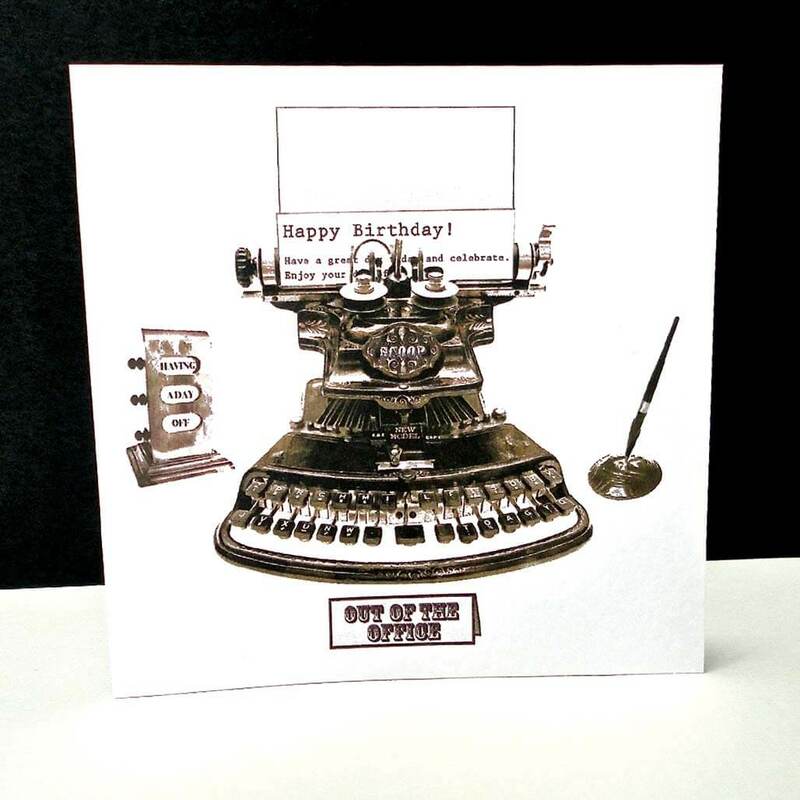 This card is also available to celebrate an 18th, 21st, 30th, 40th, 50th, 60th, 70th, 80th & 90th Birthday, or if you would like it for any other celebration please send me an email with your request! 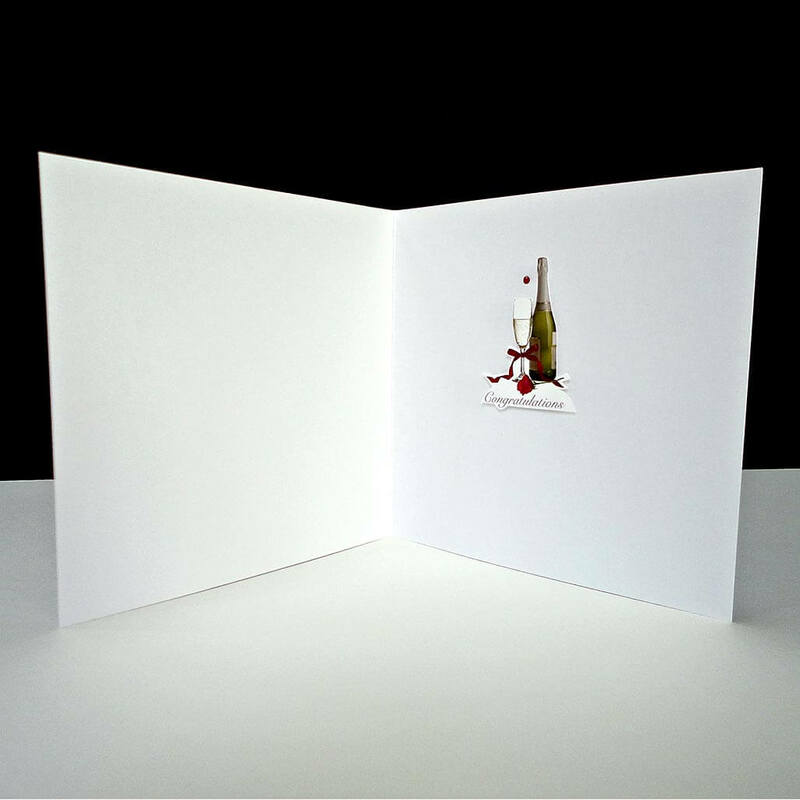 The card is 150 x 150mm in white card with matching white envelope. 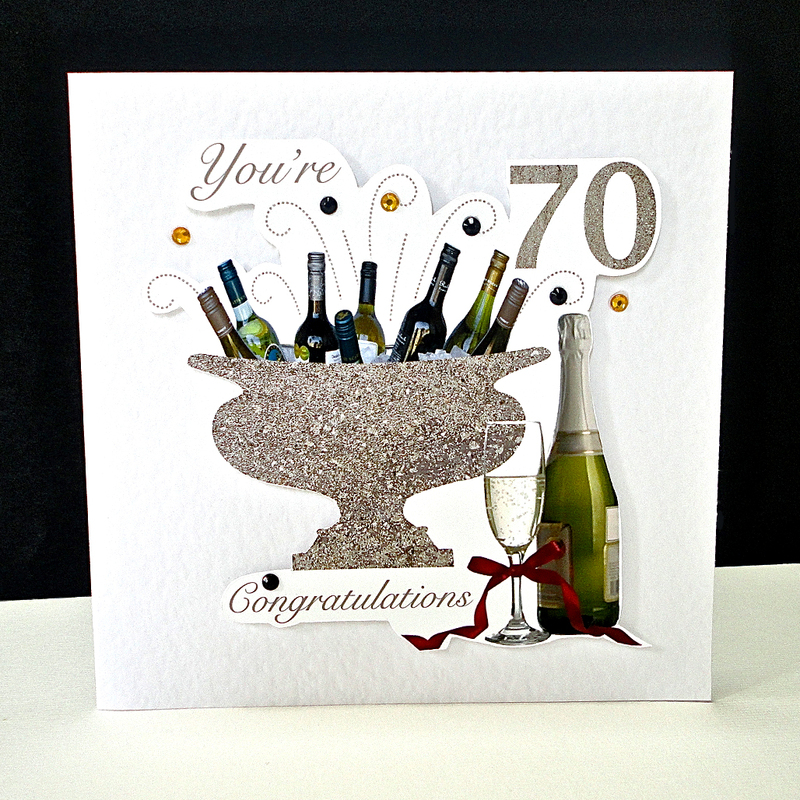 I am Lesley Rudman Stevens, the founder of Decorque Cards. My passion for design, pattern and colour stems directly from my love of nature. 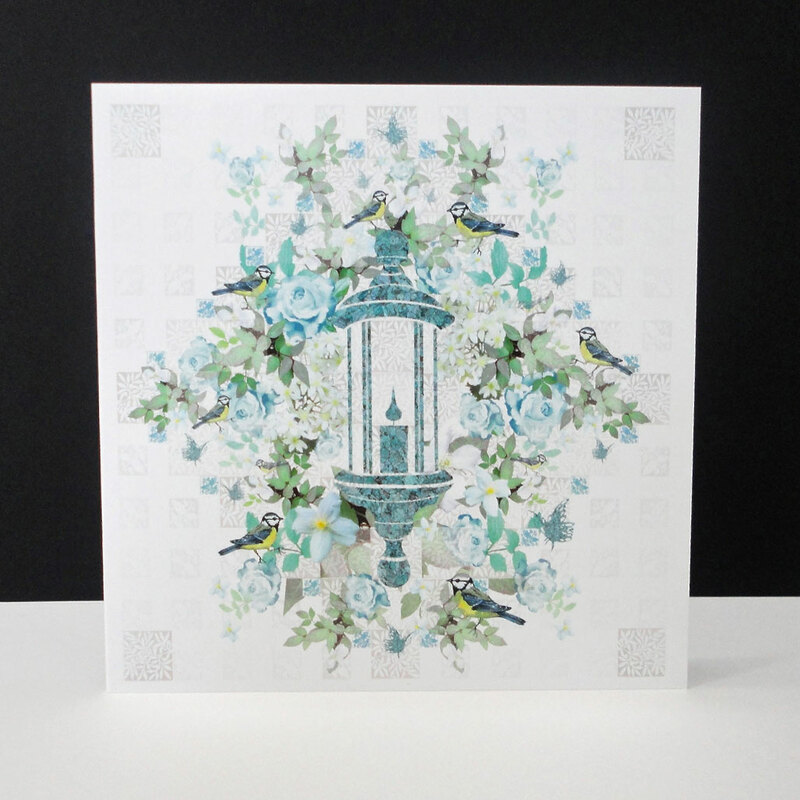 My collections are a statement of the use of colour, retaining the intensity and freshness of flora and fauna. You can read more about me here. All card and gift designs and concepts on this site are strictly Copyright © Decorque Limited 2012-2018. All rights reserved.